Khalti has signed a MoU with Citizens Bank International Ltd.
Citizens Bank International Ltd. has signed an MoU with Khalti to facilitate digital payments to its customers. 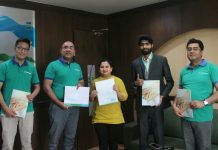 Mr. Paras Kumar Kafle, Chief Operating Officer of the Bank, and Mr. Amit Agrawal, Director of Khalti, signed the agreement on Thursday. 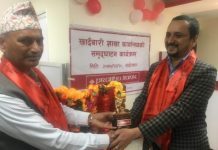 The signing ceremony was held in the participation of Mr. Ganesh Raj Pokharel, Deputy Chief Executive Officer of Citizens Bank and DhrubaAdhikari, Director of Khalti. 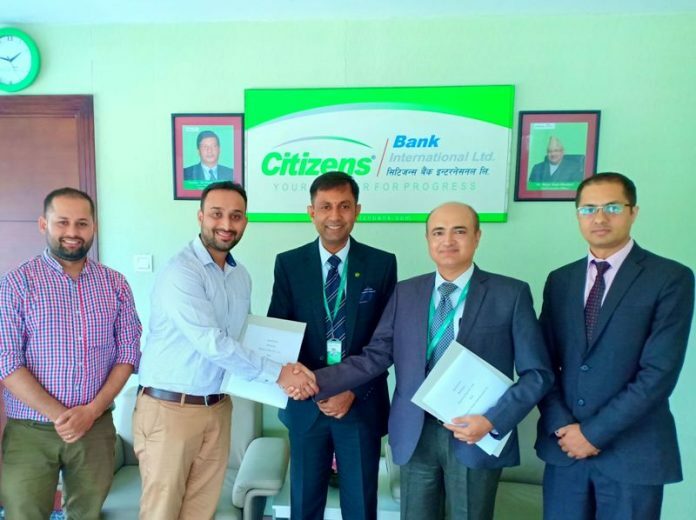 This alliance will enable Citizens Bank customers to load their Khalti accounts via Citizens Smart Mobile Banking App and banking to make payment for various goods and services on the go via Khalti. 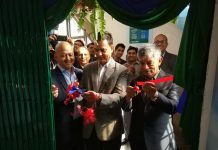 Started in January 2017, Khalti is an emerging mobile payment solution in Nepal, allowing users to pay for cellular balance top up, pay electricity/water bills, DTH and internet bills, movie ticketing, airline ticketing, hotel booking and many more. Currently, Khalti is used by more than 500,000 users regularly to make various payments.